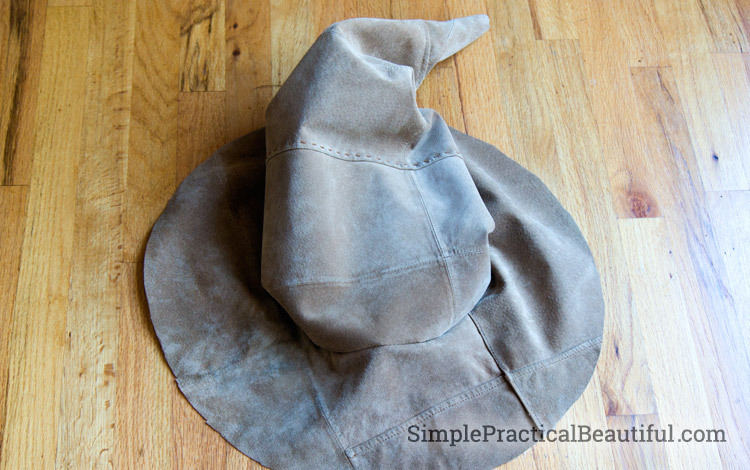 I decided to make a Sorting Hat out of a thrift store leather jacket for my daughter’s Harry Potter party after searching the internet to find a decent one. I wasn’t very impressed with the talking fabric hat you can buy. 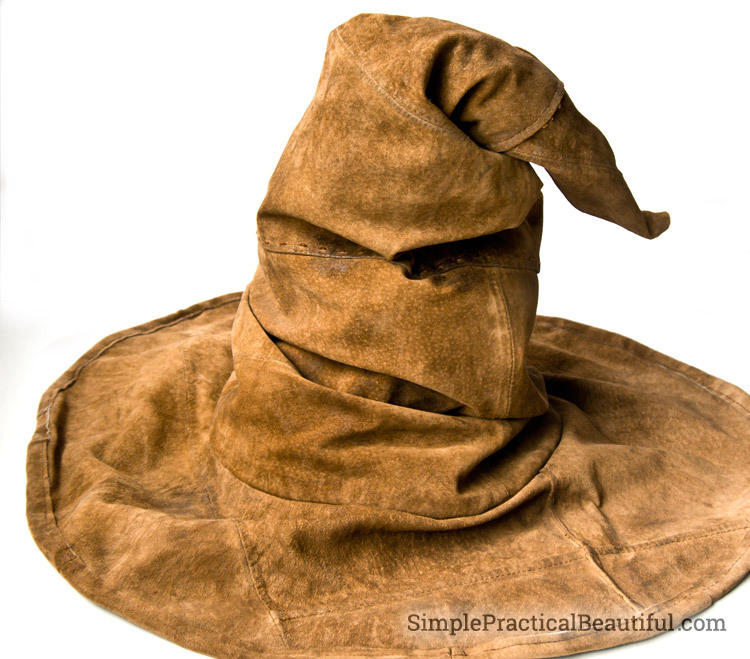 I did find a picture of a leather Sorting Hat on BurdaStyle.com with no instructions on how they made it, but the picture inspired me. 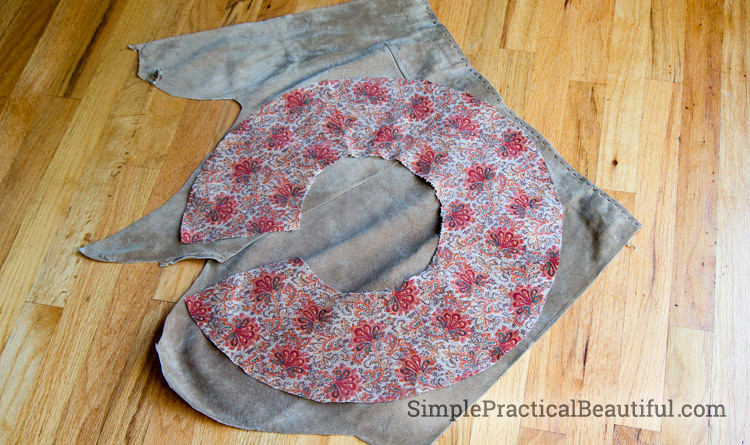 I like to start any sewing project with a pattern. My handmade clothes turn out much better if I don’t try to make it all up myself. 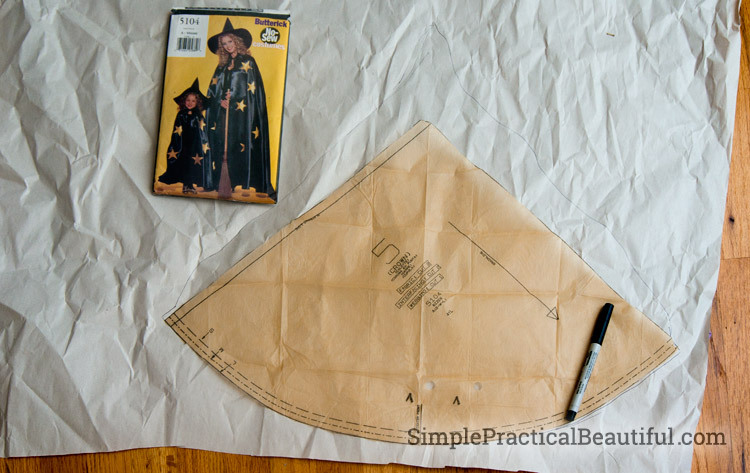 For the sorting hat, I started with a witch’s hat pattern. 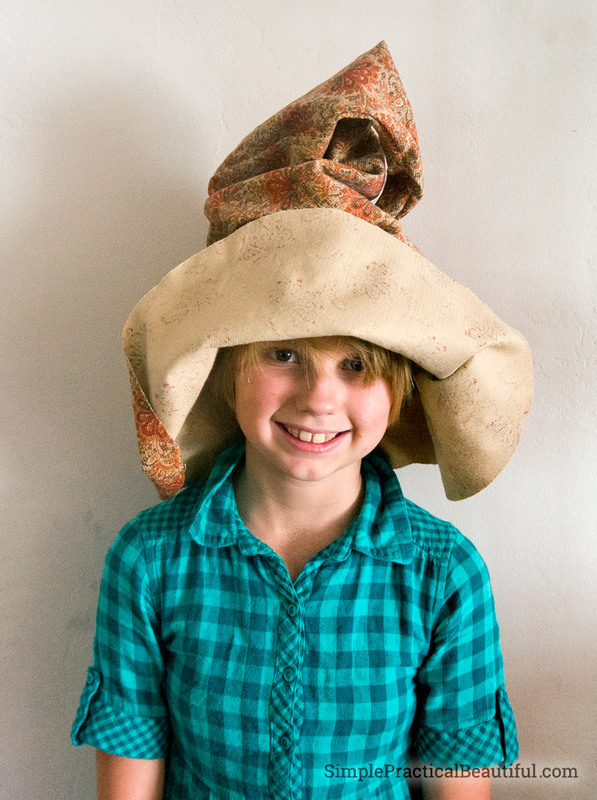 I used a Simplicity pattern that is out of print, but any pattern for a witch hat will work. I altered the pattern by making it much taller, to give it lots of folds, and by making the edges uneven, to make it look a little warped. I used the pattern piece from the Simplicity pattern and drew a new pattern piece on some scrap paper. I didn’t worry about flattening the paper (it had been Amazon shipping paper) because a more uneven, imperfect pattern piece would make the hat look more warped. The curve at the bottom of the hat I kept exactly the same because I used the brim from the pattern. Getting a brim to fit on a hat it hard enough when following a pattern. I didn’t want to mess with that. I made a muslin, which means I used some thick fabric and tried out my new pattern. As it turned out, the hat wasn’t folded and crooked enough to look like the sorting hat. It looked too much like a witch hat. So I took it apart and made it bigger. Here’s my lovely model with the second muslin. Much better, very wrinkled. I could also tell that I would need to do something about making the brim stand up. More on that later. Now, I used the fabric from the muslin as my pattern pieces. 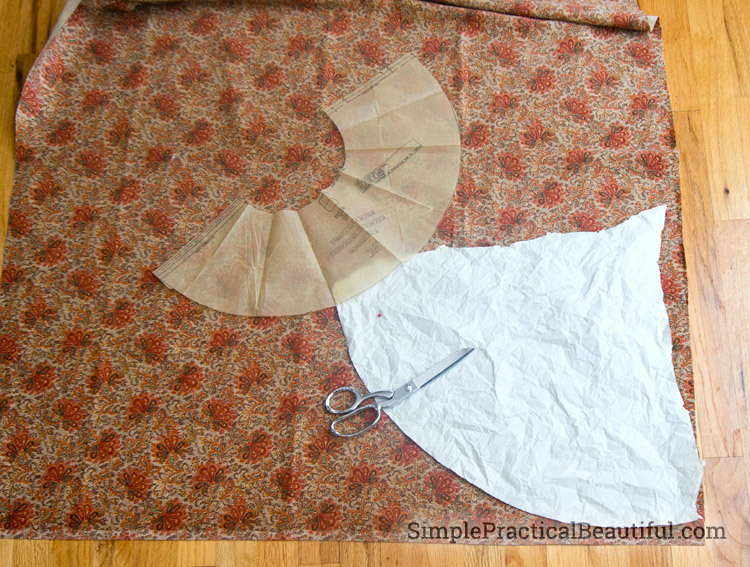 Fabric patterns are actually much easier to use than paper patterns. I found a women’s suede jacket at Goodwill for $6. The jacket was terribly out of date, but the leather was beautiful and fairly thick. Perfect for a sorting hat. I cut the jack apart so that I could lay it flat. 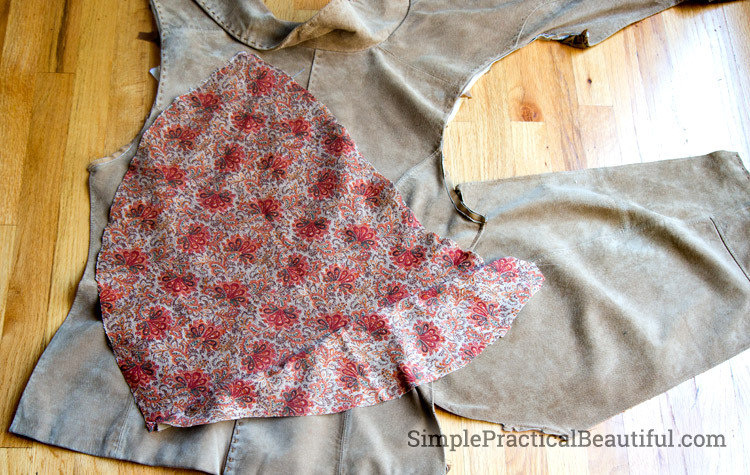 Basically, I cut the sleeves off and cut down the seam of the sleeve, then cut the jacket apart at the sides. My hat pattern was just a little too big for any the jackets parts, so I sewed the top of one of the sleeves onto the side of the jacket. I tried to hand sew it because that would look cool, but I couldn’t get the needle through the leather very well. Luckily, my sewing machine did just fine. 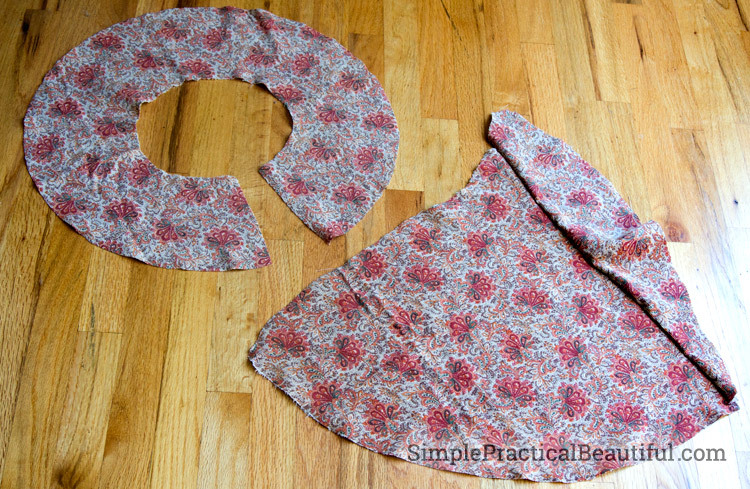 Next, I sewed the 2 sleeves (or what remained of them) together to make a piece big enough for the brim pattern. I just laid one sleeve slightly on top of the other, pinned them together, and sewed. With leather, you don’t have to worry about raw edges. I sewed the hat and the brim together, and it looked pretty good. The two front parts of the jacket, I cut into strips that I could sew around the brim of the hat. This made the edge of the brim look more finished. It also made a great little space to push wire into. I used 20 gauge plastic coated steel wire. No more floppy brim! I wanted to make the whole hat stiff and a little crusty, so I watched a lot of YouTube videos on how to make leather stiff, like this one. They were mostly about making sheaths for knives. Cool, huh. Basically, the advice was to soak the leather in hot water, shape it, and let it dry. So, I tried with a scrap piece of leather. It’s hard to tell, but the scrap did keep it’s shape, but it didn’t get stiff. I soaked the hat in hot tap water, then stuffed plastic bags inside, and shaped it. I shaped the mouth first, then the nose, then the eye brows, and finally, the tip of the hat. Again, it kept its shape, but wasn’t stiff. 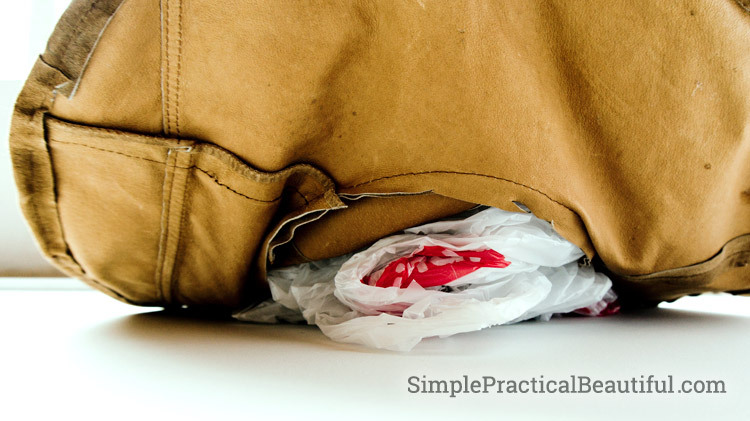 I have to keep the plastic bags inside the hat to keep it up. The leather jacket was the right leather, but the wrong color. I rubbed a dark brown shoe polish over the whole hat. 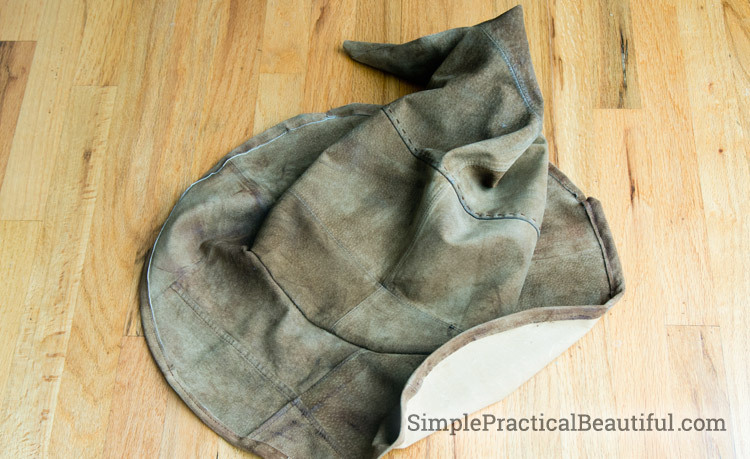 It turned out very uneven and mottled, which is perfect for old-looking leather. I used a lot of shoe polish in the eye sockets and inside the mouth to highlight those details. I finished the hat with a few stitches around the mouth and above the nose to keep the face in place. The hat was awesome at the party, and every kid had fun trying it on and being sorted. As a side note, we put a cell phone under the stool where each kid was sorted. My husband was on another cell phone outside as the voice of the Sorting Hat. Lou Lou Girls recently posted…Stop Paying $300 for Glasses- Here’s How! This is very cool and clever. Your daughter is fortunate to have a mom who goes all out to make her party special. . Thanks. Sometimes in the middle of planning and preparing for a party, I really wonder if all the work is worth it for just a kid’s party. But watching how much fun my daughter and her friends have at that party makes it all worth it. This is the coolest birthday party! 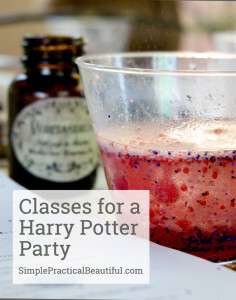 I can’t wait to introduce my kids to Harry Potter. Thanks for sharing! Thank you! I couldn’t wait to share Harry Potter with my kids, and I ended up giving the first book to my daughter a little too early. A year or so later, she picked it up on her own, and then devoured all 7 books in a couple months. Now she is a devoted Harry Potter fan. It’s awesome. How neat is this? It looks so authentic… like it could start talking any second now! Lots of work but totally worth it in the end! 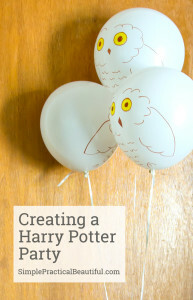 I love it, and it’s perfect for a Harry Potter party or decor! We own a vacation home near Disney and I am redecorating one of the bedrooms with a Harry Potter theme. I’m going to try following some of your directions to see if I can make a sorting hat for a corner shelf in the room. If it turns out, I’ll post pics. If it doesn’t – – it was nice chatting with y’all lol. Awesome! Go for it. 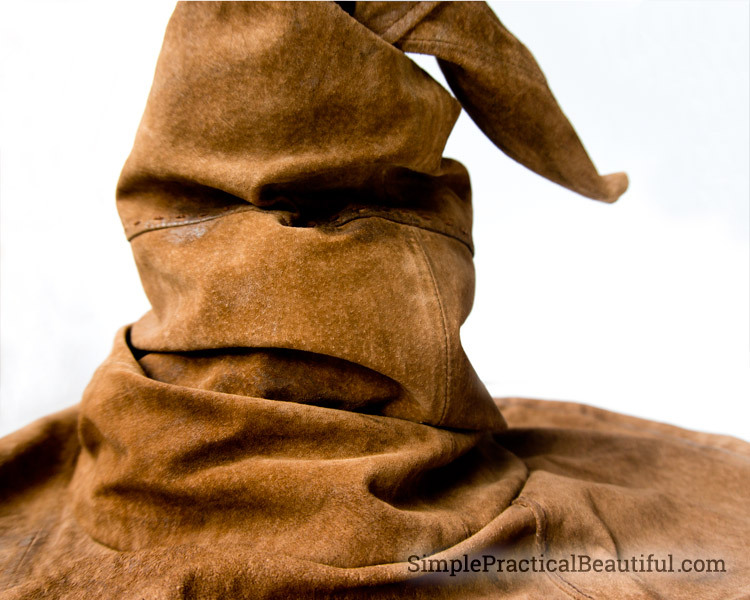 The best part about a sorting hat is that it’s supposed to be worn and patched and imperfect. So any mistakes are just part of it’s personality. The only thing to watch out for is making it too skinny. That’s why it’s easier to make it in fabric first just to be sure it’s nice and loose and floppy. Good luck! I can’t wait to see the picture. Try shellac – white or orange – for stiffening the leather.inside. it may also help shape the wrinkles and face. It certainly works on thick fabrics. 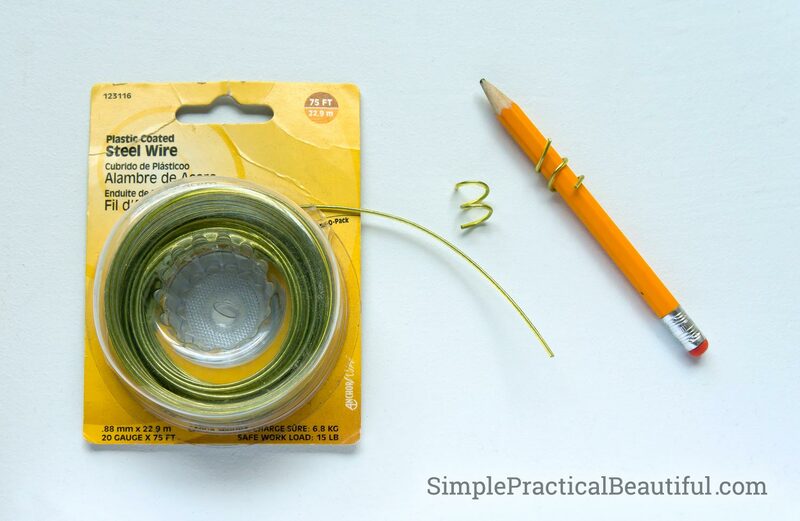 Also try zig zagging over the wire Before doing the binding. Thanks for the good suggestions, Jenny. I never thought to spray something inside the hat to stiffen it. That’s brilliant! In the picture of me I look really young! The fabric was a suede leather jacket that I found at a thrift store for about $8. This is absolutely beautiful! 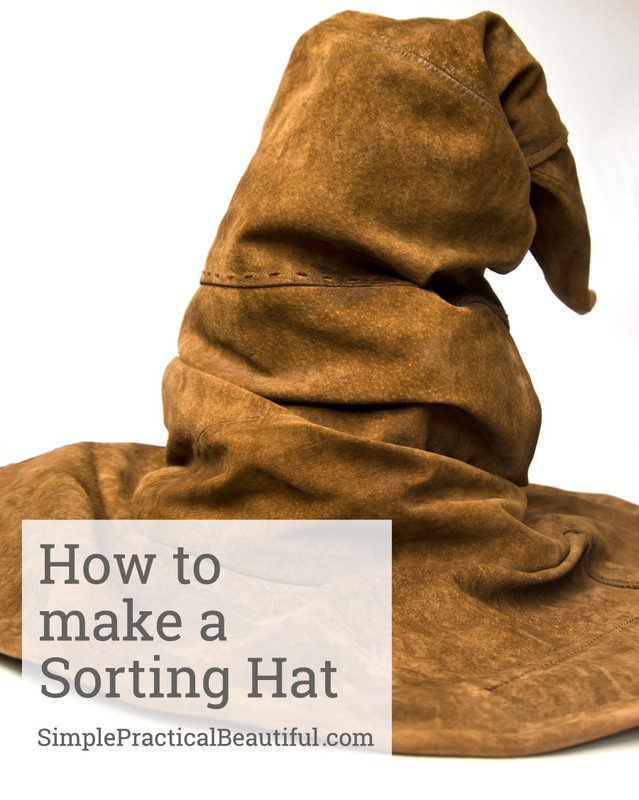 I’ve been looking for sorting hat but all the ones sold online look cheap and cheesy. I’m afraid to try to make one myself because I haven’t used a sewing machine in years! Would you be open to considering making one to sell? If so please email me at have.some.faith@live.com to discuss it further. Thank you, and I agree that so many sorting hats for sale look very cheap. Unfortunately, I can’t make one for you right now. I would suggests searching for leather hats on Etsy.com and then contacting a few smaller shop owners to see if they would make a leather sorting hat for you. They are welcome to use my tutorial to make you a custom hat. 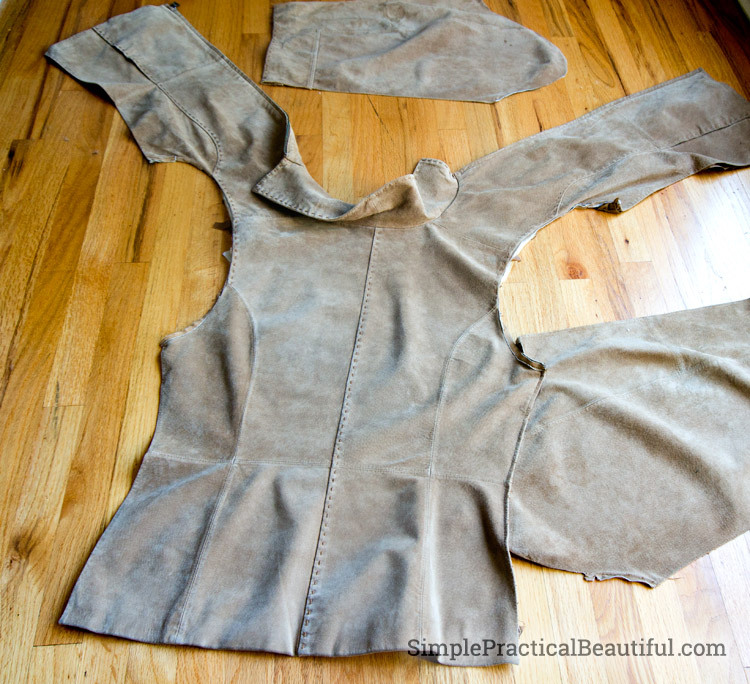 This looks amazing, I saved it to make in the future…If I ever learn to use a sewing machine. Lol, hand sewing this would be hard. This looks awesome and now I’m wondering what a jean version would look like made from old jeans. Maridan Valor recently posted…I let a mermaid guest post.